During the open space works, Kaybridge was approached by British Waterways to regenerate the Brent feeder canals (an un-navigable waterway connecting the Brent Reservoir to the Grand Union Canal). These canals required steel sheet piling which was tied together to act as one unit by the large section green oak capping and fender beams. All canals were dredged to the exact depths required by British Waterways to keep adequate puddling clay depths. 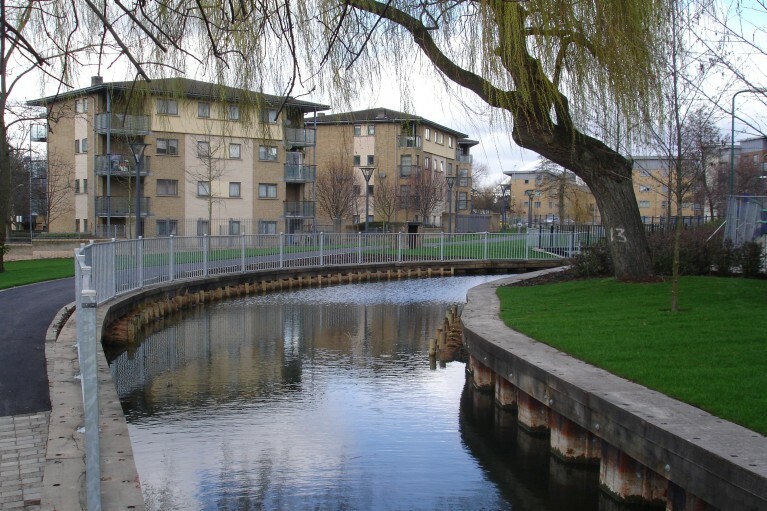 Where clay had been removed, by trenching works crossing the feeder canals, large sheets of Firestone EPDM eco membrane were used to line the canals without longitudinal joints.